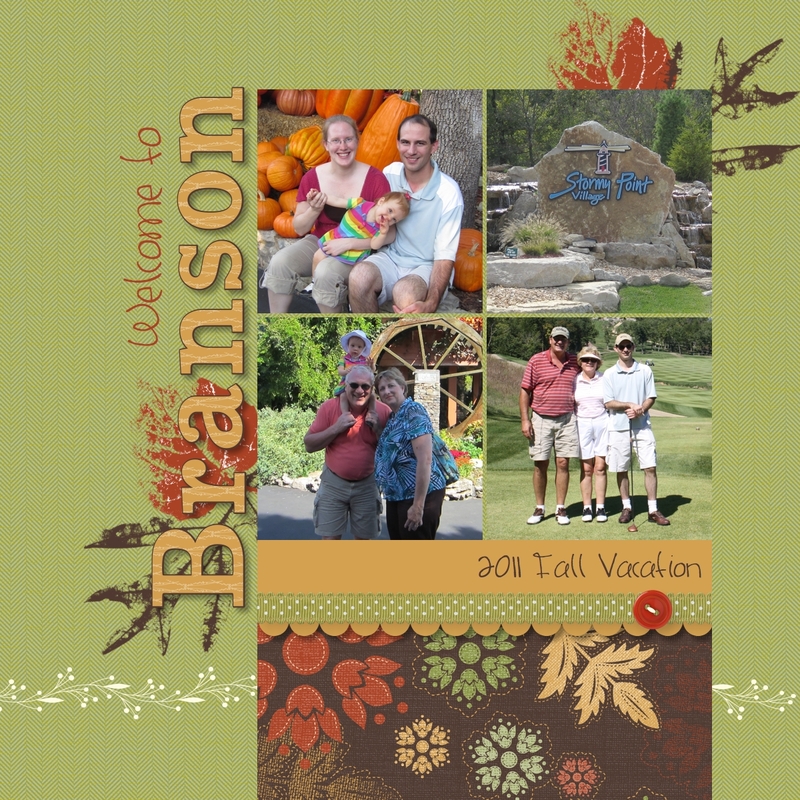 I'm busy making a photobook for the vacation we went on LAST fall. I know... I'm quite behind. But that's what Actuarial tests will do to a person. Cross your fingers for me and hope that I'm finally done with all that studying. I find out on Friday the 13th of July. What luck! Anywho, I started this album awhile ago but I just wasn't happy with the theme I had chosen for it (items from the Sell-a-bration CD). Then I thought- hey, it's a fall album and I've got a lot of cute fall papers I should do that instead. Now I'm much happier with how it's turning out! 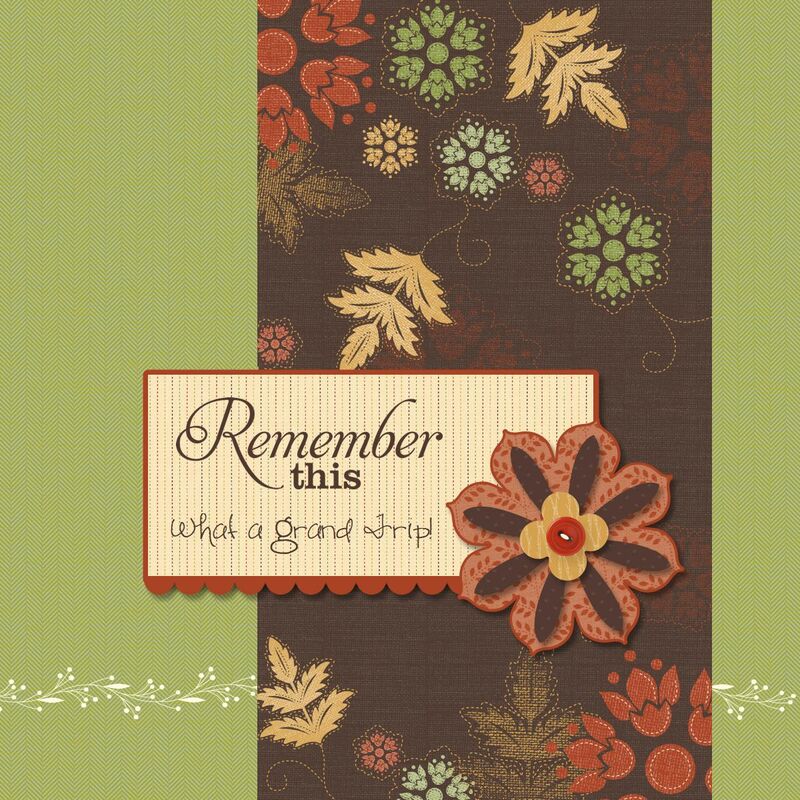 It uses items from the Autumn Spice digital kit. Colors: Cajan Craze, More Mustard, Old Olive, and Early Espresso. 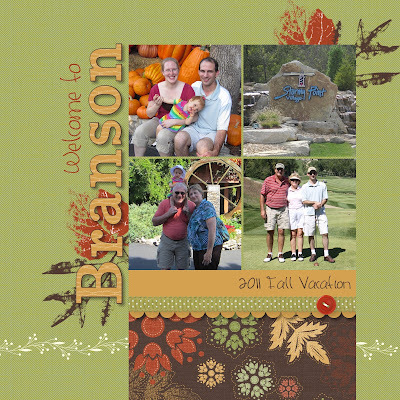 It puts me in the mood for fall just looking at it :) I used letter punches for the word Branson- what fun. And if you recognize the layout it is because I started with the Twitterpated template and altered it to fit my needs! Gotta love templates. For the back cover I changed things up just a little bit, but I wanted it to mesh with the front so I made sure to keep some similar elements. Have a great week and stop by later to see more pages from the album as I complete it.